Order or rent your tap+DONATE™ box today and fundraise tomorrow. Donors tap their card or phone to give any amount from £1 to £30 (or more using chip+PIN). Track your donations in real time with our free app. 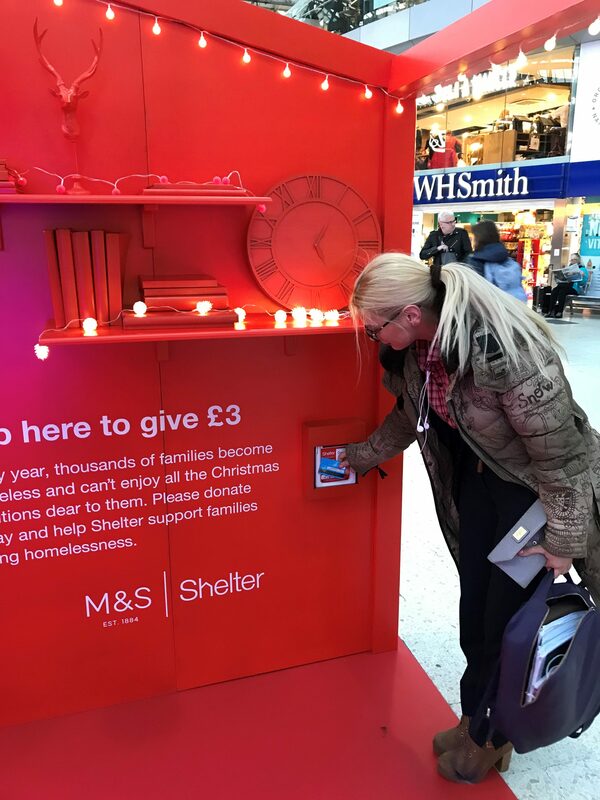 Contactless giving has been much talked about but is now a reality. 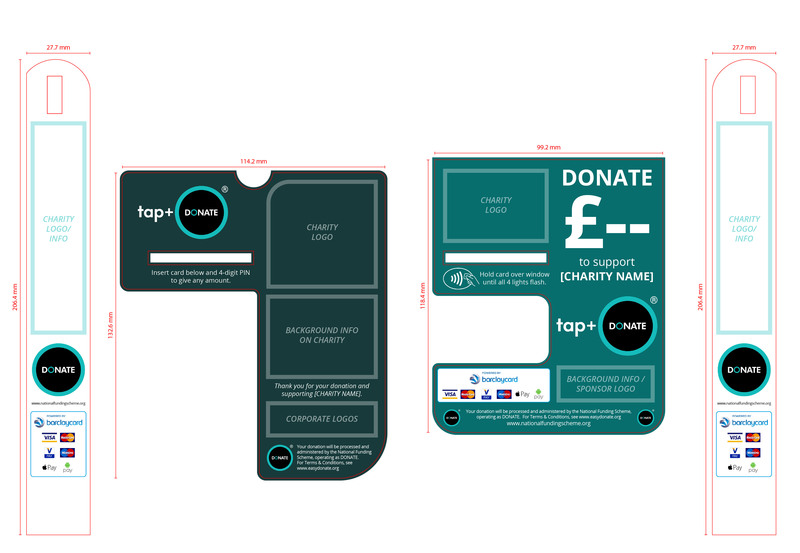 We offer two tap+DONATE™ solutions… choose the one right for you, order today, apply your branding labels and you will be collecting cash-free donations tomorrow. Case study available here. Below we have summarised both products. FAQs on each product are given further down the page. Click on one of the tabs above, to update the FAQ display. What are the costs and how do I order? Costs are available on our order form. Unit with lid closed, and the unit with lid open with vanilla labels. The contactless chip+PIN device has the following approximate dimensions. Can any organisation use the tap+DONATE™ service? 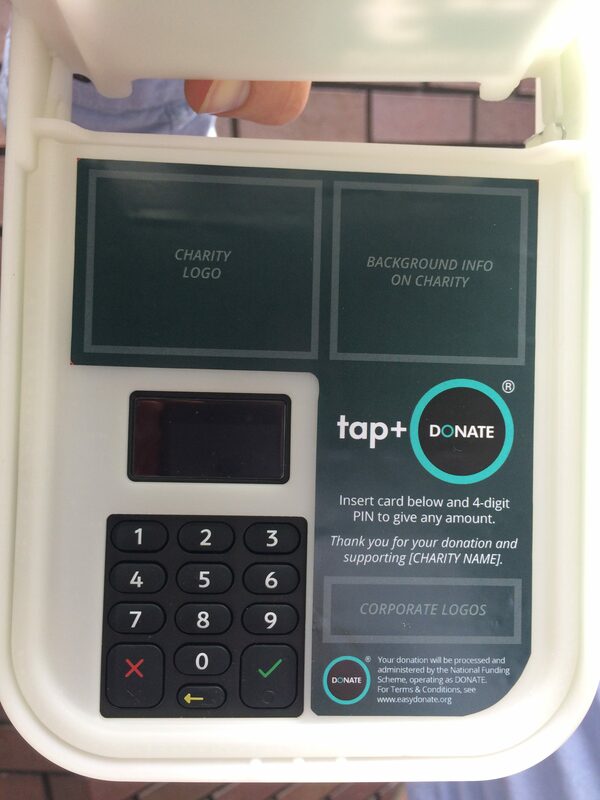 tap+DONATE™ is available to any charitable organisation that is registered with DONATE™. If you are not yet registered with DONATE™ you can do so for free here. 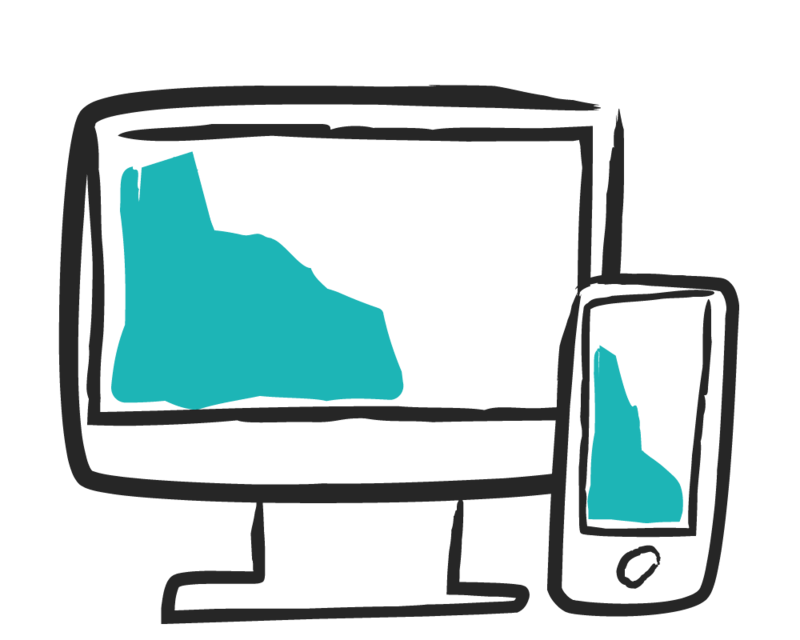 How do we apply our branding to the loaned or purchased device? 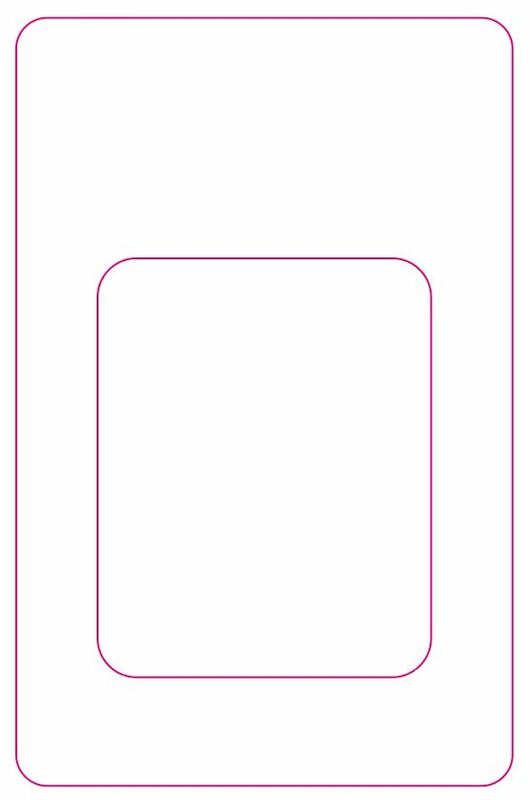 Template B: We print and attach the labels for you (Template B, jpg / pdf). These options are noted on the order form but organisations must provide print-ready art work. Other formats are available here. For organisations using their own in-house print service please note that labels must be printed on polyester labels for easy removal. Can I either rent or buy the units? Yes, we provide both a rental and purchase service for the tap+DONATE™ portable unit. Please download and send this form (PDF or Word) to place your order. Units are normally sent within 7-10 days following a confirmed order. Please note you must be registered with DONATE™ to place an order. Do you offer a trial rental? Yes, you can trial the unit for a week’s rental. The week rental starts at £85 plus the £100 one-off set up fee per organisation. More information is provided on the order form (PDF or Word). What are the fees to purchase a device? There is a one-time, lifetime set-up fee (per organisation) of £100 and a purchase fee of £250 per device. Please see our order form (PDF or Word) for full terms and costs. From March 1st, 2019, a per donation charge of 2.95% is made per donation (charities), 5% for approved non-charities. What are the fees for rental? There is a one-off set-up fee (per organisation) of £100 and a monthly rental of £45 with a minimum term of 3 months. We also rent units for one week. Renting organisations will also need to make a returnable deposit of £150 per device and are responsible for insurance of the products. Please see our order form (PDF or Word) for full terms and costs. Can I convert a device rental into a purchase of the device? 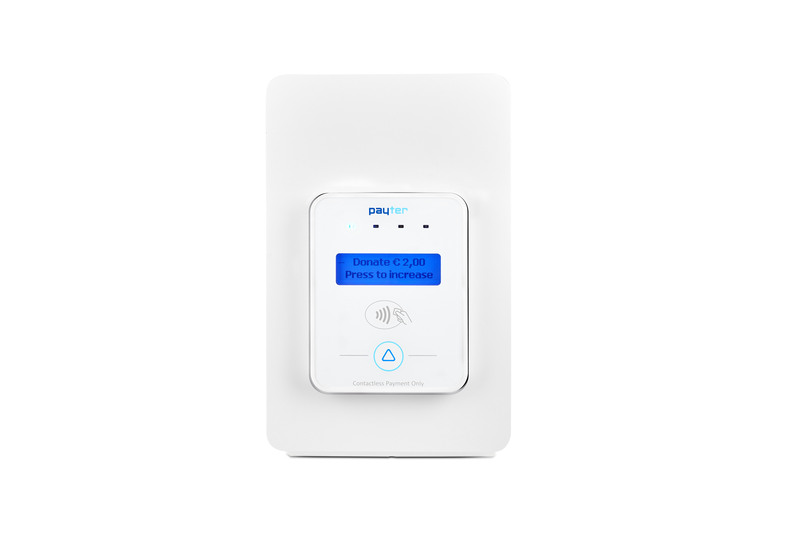 Following the 3 month rental, the device can be purchased for a one-off fee of £150+VAT. What are the minimum and maximum amounts that can be donated? 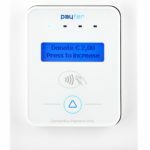 The minimum amount is £1 and the maximum (using contactless) is £30. 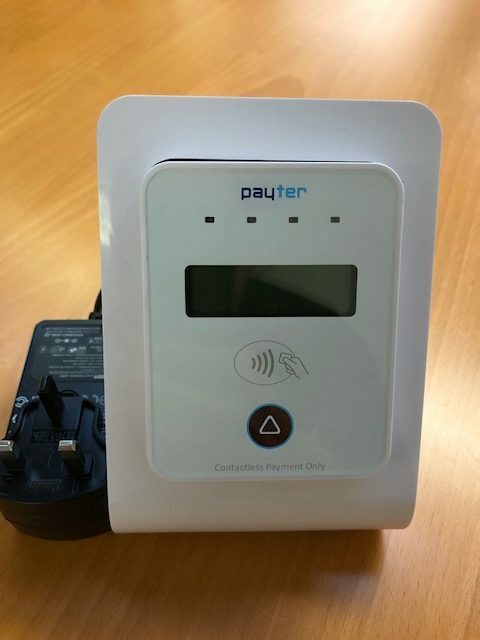 The unit is fitted with a Chip+PIN facility to enable transactions above the contactless ceiling of £30. 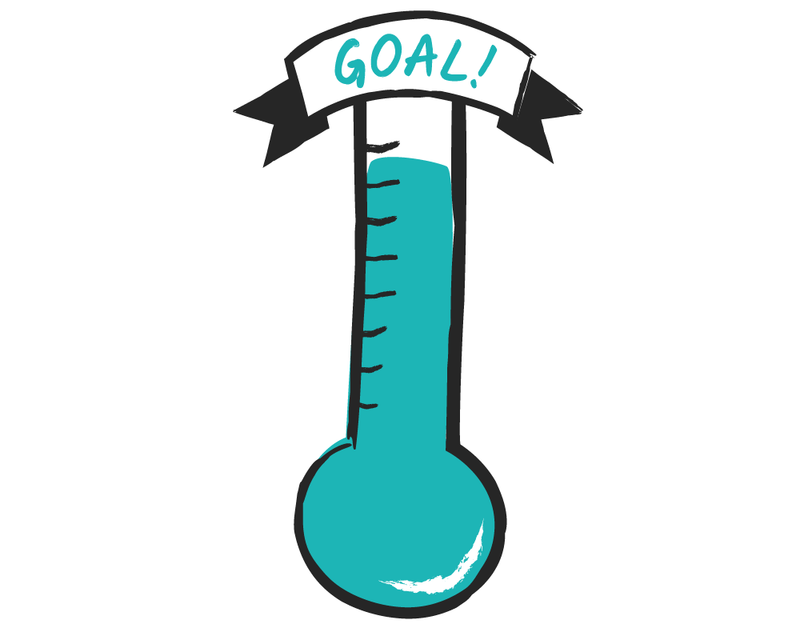 How is the donation level set (regular and one-off amounts)? Can donations be taken at all times (even outside data range)? No. 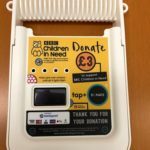 The tap+DONATE™ Portable will not store transactions or complete donations unless the unit is connected to the internet at the point of donation. Can tap+DONATE™ donations be Gift Aided? Gift Aid is not available as no personal data per donor is asked for or recorded during a contactless donation. How are funds transferred to our charity? Funds are received by National Funding Scheme (registered charity) and passed across (less the 2.95% transaction fee) as per our Affiliation Agreement (see Agreements for charities and non-charities). What do we need to provide to enable the device to work? 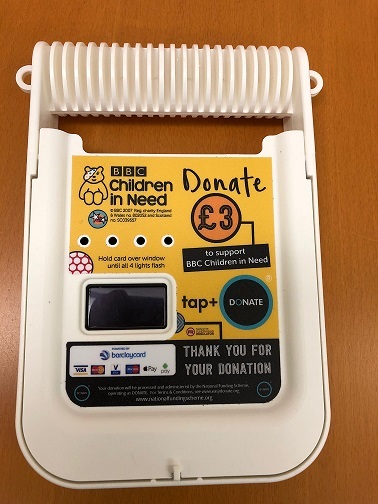 Tap+DONATE™ devices require a Bluetooth device (tablet/phone) with an internet (WiFi or 3G/4G) connected to the internet. A downloadable app is provided without charge but only the Android app provides for repeating donations. If using an Android phone you must be running v5 or above. What comes with the tap+DONATE™ product? What is your unit returns policy? Bought units can be returned for a full refund or replacement anytime within 30 days subject to the unit not being damaged / misused. Rented units will be replaced at any time if not working. Returns postage costs are borne by the customer. Please ensure you use a signed-for service. Please note that the set-up fee and any label-related costs are not refundable. Can donation refunds be offered? Your staff/volunteers will, by default, be able to provide a refund to a donor (this facility can be turned off if requested). Please note that, as per the terms of our Affiliation Agreement, National Funding Scheme will not offer refunds. Battery time is dependent on usage. 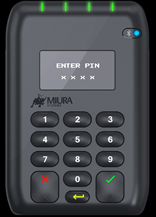 The chip+PIN has an internal battery which can last up to 8hrs. It can also be mains powered. The spare battery (shipped with the unit) provides up to an additional 6hrs. Can the device be secured to a table? Yes, screw holes are provided to secure the device to a table/wall. However, we only recommend this in specific, secure locations. Also note that experience shows that donations are more likely when there is a conversation with a donor…think of it as the modern-day collection tin. 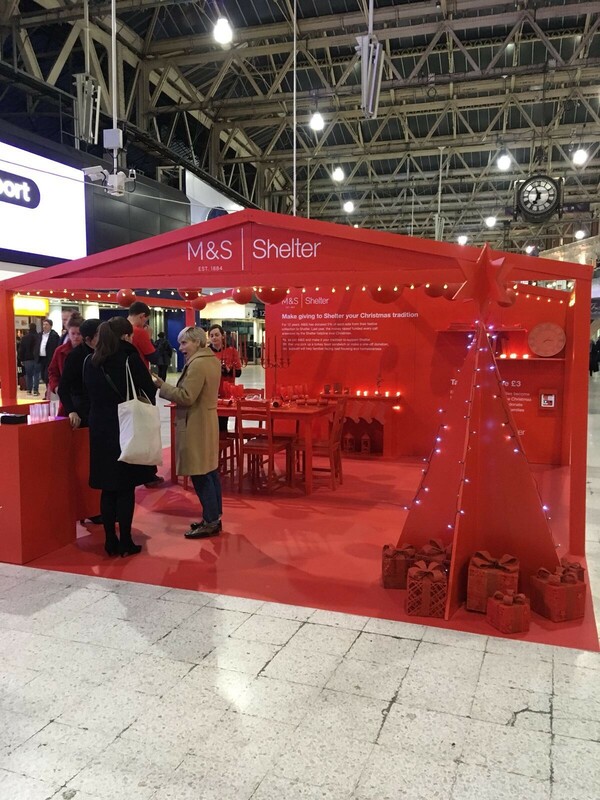 See how Shelter embedded their unit here. 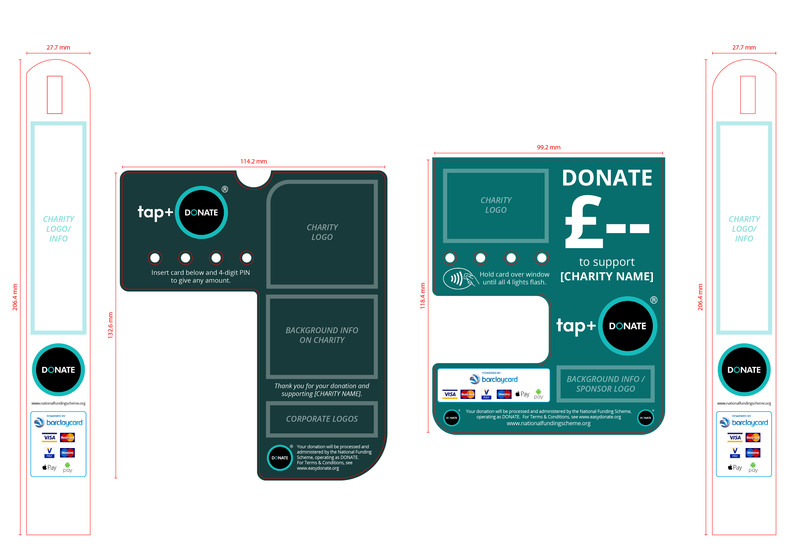 This is the template for the branding frame and shows mandatory content (DONATE™ logo and our T&Cs). Other formats are available here. Organisations must include the mandatory content on their artwork but are free to otherwise design as required. Please see order sheet for ordering branding frames. The tap+DONATE Static unit is only available for purchase. Three months of the ongoing monthly connectivity charge (SIM and payment gateway) is included within the £100 set-up fee. You may cancel the connectivity charge at any point but a reconnection charge of £50 is made when re-started. 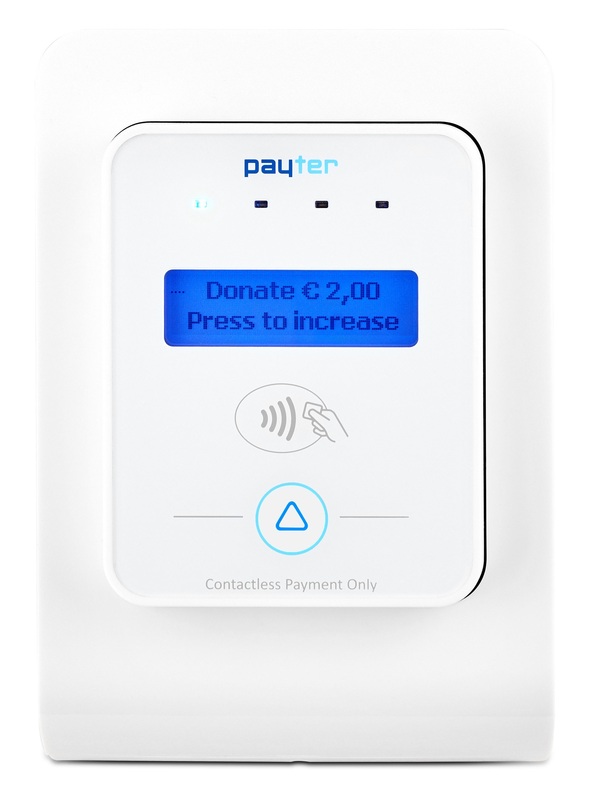 The minimum contactless donation amount is £1 and the maximum is £30. 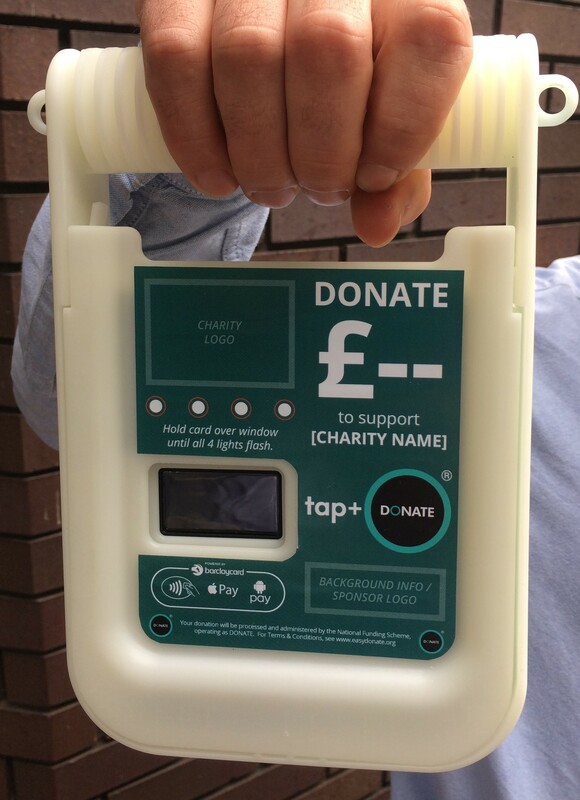 If you need to take amounts above £30 then please order the tap+DONATE™ Portable unit. You may specify up to three donation levels (between £1 and £30) that are set-up by us during the set-up process. These can be amended by us at any time by contacting us at hello@nationalfundingscheme.org. Users may choose their desired amount before making a donation. Yes. 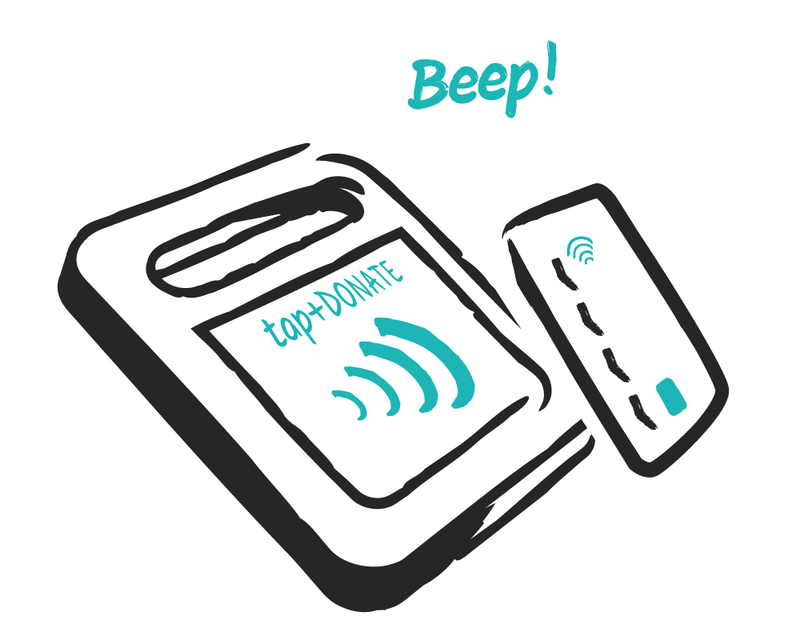 The tap+DONATE™ Static will store transactions and authorise these when the unit next makes a data connection. This happens automatically and requires no manul process. However, please note that the reporting portal only shows completed transactions and so pending transactions will not show up until authorised. Funds are received by National Funding Scheme (registered charity) and passed across (less the 2.95% fee) as per our Affiliation Agreement (see Agreements for charities and non-charities). Only a standard power source is required. Once received and plugged in, your unit will start taking donations. What comes with the tap+DONATE™ Static product? The unit can be returned at your cost for a full refund within 30 days. Please note that the set-up charge, delivery charge and any other costs will not be returned. We/your staff are able to void a transaction within 24 hours (this facility can be turned off if requested). Please note that, as per the terms of our Affiliation Agreement, National Funding Scheme will not offer refunds. Yes, two screw holes are available in the bottom of the unit.